On Tuesday 29th April 2014 Ms. Neha Maheshwari was unanimously co-opted onto the Cricket Switzerland Executive Committee as the association's Womens Development Officer. 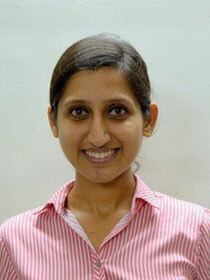 Neha is a sports enthusiast and is currently pursuing a Masters in Sports Administration in Lausanne. Having been exposed to many sports from cricket, tennis, golf, swimming, etc., since her early days, she later pursued sailing competitively which ultimately led to an Asian Championship medal. Both at school and university she has been entrusted with the responsibility of the Sports Captain – Girls where she developed her skills in in organising competitions and fostering girl/ women participation. She has played cricket growing up and continues to be a fan and a spectator. Her professional experience covers hospitality operations, Sales & Marketing in the alco-beverage industry and the social development sector. Her role in the alco-beverage sector involved the launch of new brands and exposed her to the world of Cricket events. Here she handled promotions, activations for multiple IPL teams in a sponsor capacity and also led the partnership for the ICC World Cup 2011 Finals. Neha looks forward to being a part of the growth story of Women Cricket in Switzerland and is geared to take up the challenges of developing and strengthening women participation in the country, with the support of the Cricket Switzerland family.